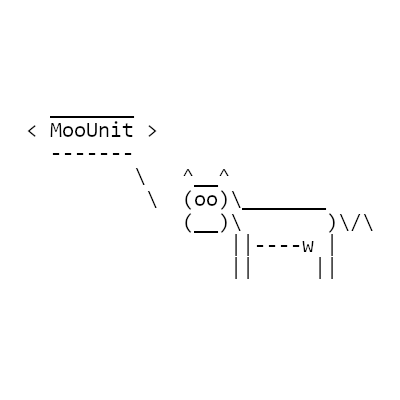 MooUnit-1.0 is a library that provides mappings between GUIDs, unit IDs, and names. Returns whether the unit ID receives unit events, e.g., UNIT_AURA, UNIT_TARGET, etc. unit - string: unit ID, e.g., "player", "party1", "raid15", etc. Returns the GUID currently associated with the unit. Returns a list of units currently associated with the GUID. Returns the name currently associated with the unit. Returns a list of units currently associated with the name. Returns the name currently associated with the GUID. Returns a list of GUIDs currently associated with the name. Returns the unit ID assigned to the pet for the unit, even if the pet does not exist. petUnit - string: unit ID, e.g., "pet", "partypet1", "raidpet15", etc. Returns the GUID of the owner of the pet or vehicle GUID if both are on the group roster. Returns the unit ID assigned to the target for the unit, even if the target does not exist. targetUnit - string: unit ID, e.g., "target", "party1target", "raid15target", etc. Returns whether the GUID is on the group roster. Returns whether the unit ID exists and is a group unit ID, e.g., "partypet1", "raid15", etc. Returns an iterator that gives key-value pairs of GUID and unit ID for members on the group roster. Registers a function to handle the specified callback. If handler is a table, method is a string, and handler[method] is a function, then that function will be called with handler as its first argument, followed by the callback name and the callback-specific arguments. If handler is a table, method is nil, and handler[callback] is a function, then that function will be called with handler as its first argument, followed by the callback name and the callback-specific arguments. If handler is a string and method is a function, then that function will be called with the callback name as its first argument, followed by the callback-specific arguments. If arg is non-nil, then it will be passed to the specified function. If handler is a table, then arg will be passed as the second argument, pushing the callback name to the third position. Otherwise, arg will be passed as the first argument. MooUnit-1.0 provides the following callbacks to notify interested addons. Fires when the pet associated with an owner has changed. This can happen if a pet is dismissed and a new pet is summoned. Fires when the roster of the party or raid group has changed. Fires when a unit that we are tracking has changed. name - string: the current name associated with the unit ID. Fires when a new member is added to the group roster. Fires when a member is removed from the group roster. 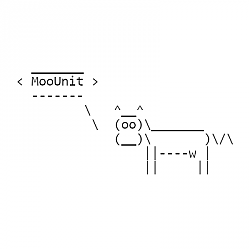 MooUnit-1.0 is released under the 2-clause BSD license. Report a bug or suggest a feature. Bump minor version to 6 for release. Bump TOC interface for BfA 8.1.